If you were at SENIA 2019 at Hong Kong Academy then you heard about SENIA’s need to transform. We have extended our reach to regions beyond Asia, with local chapters is Europe, UAE, India, and soon to be Africa. We have embedded ourselves in international schools and now have 77 SENIA Teacher Representatives in 15 countries. To best reflect these changes, we have rebranded SENIA. We believe that our new name - Special Education Network and Inclusion Association - better encapsulates our mission and vision. As a worldwide network, we will collectively work together to advocate for and provide resources/supports for differently abled individuals. As an association we will work to create an inclusive world where every individual is supported, resources are accessible, potential is maximized and action is inspired. SENIA 2019 attracted educators, related service providers, administrators, and parents from schools and organizations in Asia and beyond. This year’s attendance of over 250 validates that SENIA continues to be the “go-to” conference to network and learn about best practices to support the learning differences of ALL students. Lori Boll, SENIA Board Member explained what brings people to SENIA year after year in her blog post, The 5 Reasons I Love SENIA. Lori mentioned that much of the learning that happens at SENIA focuses on universal design. If we create systems and design learning to meet the needs of our exceptional learners, we are going to help all of our students. 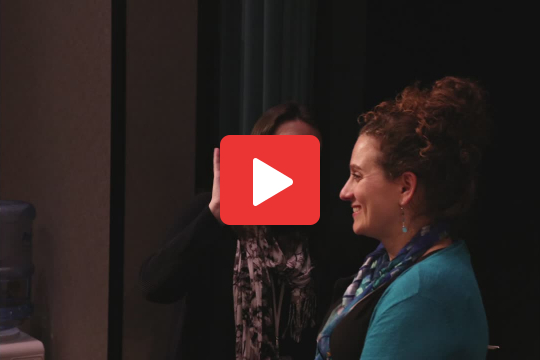 Shelley Moore speaks more about that in this video, Transforming Inclusive Education. After a conference, I’m always curious about what participants tell their faculty when they return. 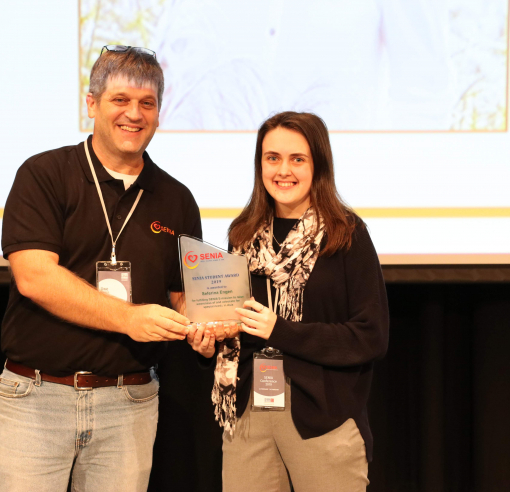 One of my colleagues at ISKL, Vanessa Weber, wrote her thoughts on this topic on her most recent blog entitled, Transformational Learning - My Top 3 SENIA 2019 Takeaways. At SENIA 2019, I challenged the audience to think of one little word. The idea was that this word would help participants bring what they learned to life, and convert it into practice after the conference. 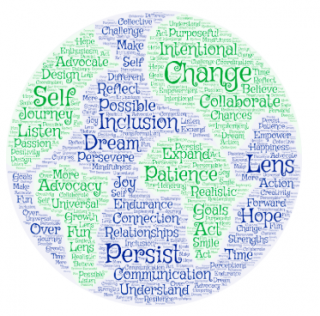 Looking at the words that SENIA members are reflecting on, I believe that if we all follow our words to where they lead, it will be the ripple in the pond that transforms our schools, our communities, and our world. Check out the picture above to see the common words! K.A. 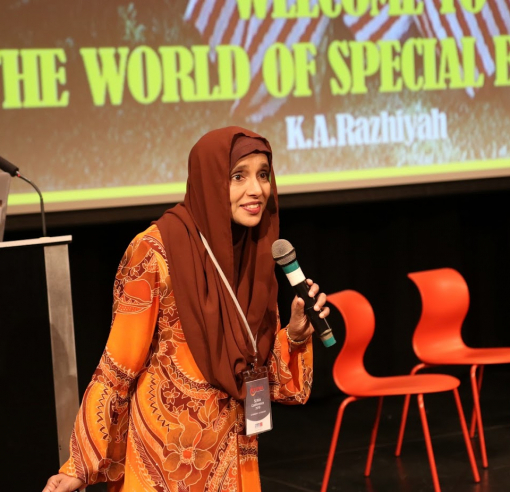 Razhiyah from Panji Secondary School in Malaysia championed the development and training of her students in Teratak Spa. ​The idea of Teratak Spa is to provide differently abled students with the transition to work skills in providing spa type treatments – facials, scrubs, massages – as well as developing SPA products to be sold. Seferina Engen from Taipei American School helped organized more than 100 volunteers to run the “I Am a Hero” Games, a Special Olympics for special needs kids in Taiwan.​ She also became President of Operation Smile for her school, an association which raises money and awareness for kids with cleft palate. SENIA is an association of educators, professionals, and parents whose mission is to advocate for and provide resources/supports for differently abled individuals. One of our exciting, new strategies for 2019 is to explore how we can better support the parents of the individuals that we work with. Several of the sessions at SENIA dealt with this topic. As you get settled into your routines again, think: How can we partner more effectively with parents? We’re looking forward to offering some more ideas/resources in this area. Together we are definitely stronger. We are also excited about community outreach and exploring authentic service learning opportunities to the students in our schools. We want to encourage you to find nonprofits and government organizations that already work with the special needs communities in your city. Is there something that your students can do? If you need ideas/suggestions, please contact us. We’d love to help you connect more with your community in a positive, encouraging way! SENIA is globally expanding! We have new chapters established in Europe, India and the UAE. Additionally, we are excited about our emerging chapters in Africa, Pakistan, Phnom Penh, Qatar and Myanmar. 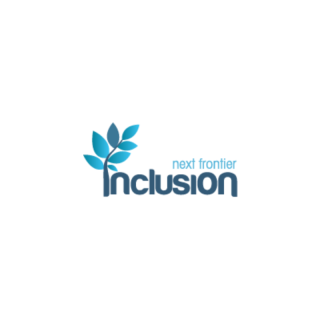 International schools are ready to embrace inclusion and SENIA is ready to help! Does your country have a local chapter? Check our website to find out. This is an incredible time to be a part of a local chapter. Your local chapter gives you a year-long platform to advocate for and provide resources/support for differently abled individuals in your life. When you get connected to your local chapter you will have access to a local support network, and together we can make inclusion accessible at all! Thank you to the 90+ participants that completed the SENIA Participant Survey! If you have not had a chance, we would still love to hear from you. We look at these surveys and use the information to guide future conferences. Click here to complete the survey now. Looking at the survey, SENIA has been, and continues to be, passed on from colleague to colleague! 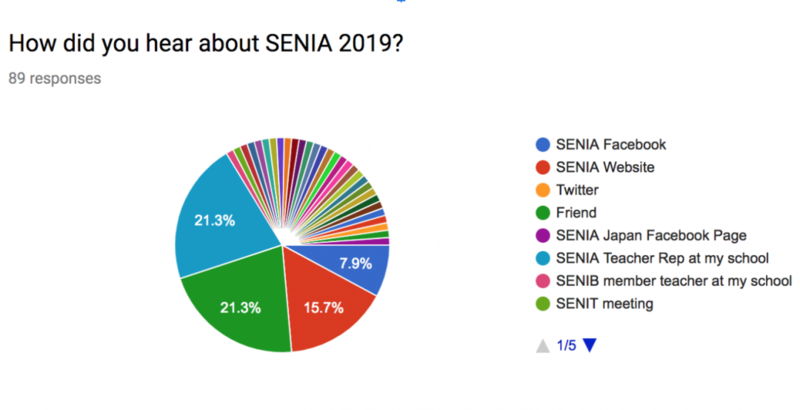 Check out the results of this question,“How did you hear about SENIA?" (Tie: from a friend and SENIA TR at my school). Keep spreading the word! We are proud of this statistic - 80.9% of participants reported that they learned strategies they could use straight away. We would also like to thank you for your constructive feedback. Your concerns have been heard and we will use the identified areas of improvement to inform ISM and SENIA Manila for our next conference. We will continue striving for positive learning experiences for all participants! 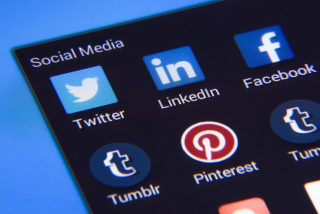 Don’t forget to check out our other social media sites, including our Facebook page and Twitter accounts. On those sites, you’ll find links to research articles, inspirational quotes, professional development opportunities, and even available job postings. Follow our accounts to make sure you don’t miss anything! The 3rd Annual Global Education Leadership Summit is coming soon to Bangkok. 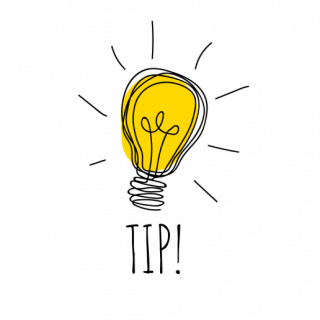 It’s not too late to sign up to learn about Innovative Schools around the world. 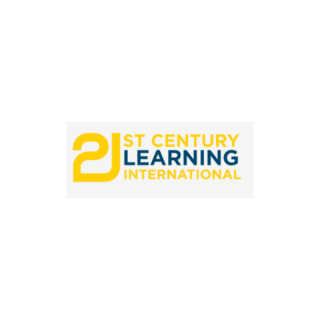 21CL is now offering ISTE certification courses. 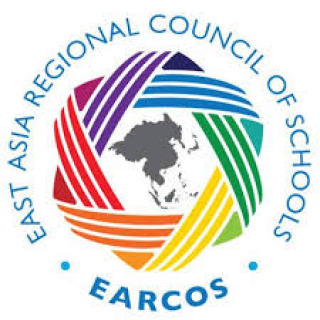 The EARCOS Teacher’s Conference is coming up in March. Find out more about Weekend Workshops and the annual conferences sponsored by EARCOS here. If you have a specific question, please direct your email to one of us.